Arena Pinball, developed by Solid Jade, offers a fun twist on the traditional pinball format. And while it fails to completely capture the charm and thrills of the arcade experience, this original take on pinball is worth checking out. 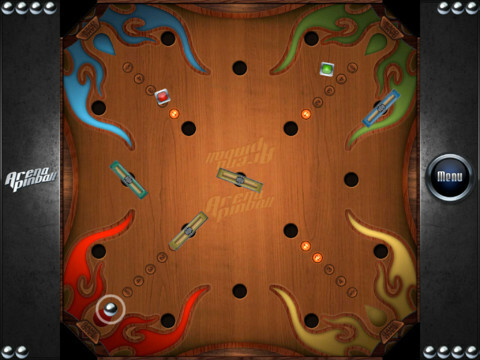 Unlike arcade pinball where you’re just trying to keep the ball on the playing field for as long as possible, this version of pinball has you shooting steel balls at your opponent. But it’s not that easy – between you and the opponent lies a field of empty holes: your goal is to shoot your balls into the holes, claiming them as yours. First person to fill five holes wins, while missed balls (depending on which mode you’re in) either disappear after a few seconds, or transform into bumpers that make aiming a lot more difficult. You can either play against the computer, or with 2-4 friends. And while the arcade mode is fast-paced and darn near frenetic, the other modes are almost glacial by comparison. There’s just not enough tension, and sometimes it turns a round into a snooze-fest. When it comes to pinball, the fun should be equal parts skillful shooting and ball-bouncing action, and that’s why Arena Pinball doesn’t quite capture the heart of classic pinball tables. 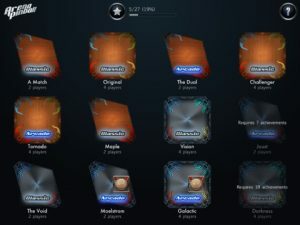 The iPad game comes with four arenas available for free. By purchasing the in-app upgrade, you can get access to 8 more arenas for less than a buck. If you really get into the game, it’s worth checking out these extra levels to add some variety to the gaming experience. 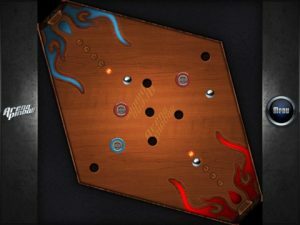 The physics of Arena Pinball is impressive, and the aiming seems to work well. The controls are straightforward, if a little tricky to master in terms of putting the correct amount of “oomph” behind a given shot. 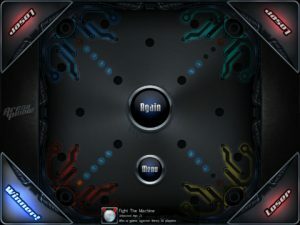 In short, true pinball fans may not love Arena Pinball for iPad as much as the real thing, but this game has a nice twist on a classic formula. 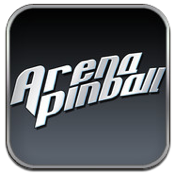 Arena Pinballis compatible with iPad. Requires iOS 4.3 or later.